Great Parishes Share Leadership – Pope Francis’s highly collaborative leadership style is inspiring pastors with a clear vision to adopt a model of shared leadership with staff and lay leaders. Great Parishes Foster Spiritual Maturity and Plan for Discipleship – A parish culture rooted in fervent prayer and engaging the spiritual hunger of parishioners increases participation in parish community, life and outreach. Great Parishes Excel on Sundays – Vibrant, welcoming Sunday liturgies include attention to children, hospitality, homily preparation and liturgical music. Great Parishes Evangelize – Intentionally evangelizing “in-the-pew” and outsiders, parishes create an attractive culture of invitation and structured reaching out using catechesis, service programs, social events, celebration of the sacraments, and mission work. Listen to the Rediscover: Hour audio interview with author Bill Simon about Great Catholic Parishes. Alive in Christ: The Catholic Community of St. Odilia in Shoreview, MN was one the first parishes in the Twin Cities to adopt a family centered model for faith formation. The parish provides parents the resources they need to enrich their own faith as they evangelize and catechize their children. 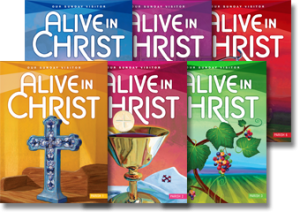 St. Odilia is currently using Alive in Christ, published by Our Sunday Visitor, as the framework for this model. Families gather together monthly for prayer and then engage in small groups to explore the topic that month through a variety of age appropriate activities. Parents are sent excellent digital resources several times a month to help them catechize their children at home. This offers them wonderful flexibility, as home sessions and activities can take place at convenient times, and truly become part of the fabric of everyday family life. Contact Brenda McLennan, director of youth formation at St. Odilia, at 651-415-3316 or mclennan@stodilia.org. Equipping pastoral staff and lay ministers to foster an evangelizing parish culture. Forming parishioners to grow in discipleship within parish small groups. The packet includes a participant faith-sharing book and a companion DVD of witness stories. To learn more, contact Samantha Hagel, director of mission at the Church of St. Mary of the Lake in White Bear Lake, at 651-429-8001 ext. 231 or srhagel@stmarys-wbl.org. Behold: The mission of Behold is that each woman will recognize the gift she is, realize the gifts she’s been given, and give to the world the gifts that only she can give. Pope St. John Paul II had a great love and respect for women and it was he who coined the term “feminine genius.” In the Letter of Pope John Paul II to Women he directly addresses each and every woman. He writes of the feminine heart and invites women to reflect on their personal, cultural, social and ecclesial responsibility that comes from being women. He states the importance of women in the Church as well as the special roles that only they can fulfill in terms of the family, the Church and in the world. 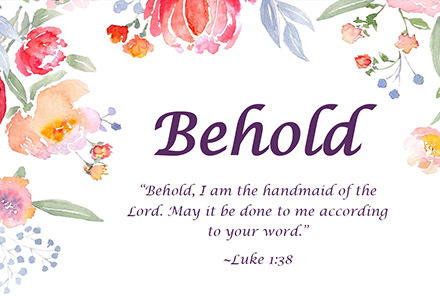 The Behold series was created to help encourage women to fulfill the special roles they have, and to do so with boldness, heroic virtue, and authentic femininity. To learn more, contact Susanna Parent, evangelization manager with the Archdiocese of Saint Paul and Minneapolis, at 651-291-4411 or parents@archspm.org. View a video about this ministry. Catechesis of the Good Shepherd is a unique approach of religious instruction, based on Montessori principles, in which the child is led closer to God through the use of hands-on materials that are presented within the context of a quiet, carefully prepared environment called the atrium. To learn more, contact Chris Stokman at the Church of Saint Joseph in West Saint Paul at christina.stokman@churchofstjoseph.org. Door to Door Evangelization: Holy Trinity, South St. Paul started training others for this ministry by holding potlucks at the parish. This door-to-door evangelization group knocks on about 1,000 doors within their parish territory per year. They go out in teams of two with one person opening up the conversation and the other taking notes. The first thing they do is introduce themselves as neighbors, invite their neighbor to Mass and offer them a copy of the book Pillar of Fire, Pillar of Truth. This small book helps the reader understand the basics of Catholicism by Scripture-based affirmation of the faith. If the person they meet is open to learning more about the faith, they make sure to follow up with them. To learn more, contact Father Robert Grabner at Holy Trinity/St. Augustine Catholic Parish in South St. Paul at rgrabner@holytrinityssp.org or 651-455-1302. View a video and listen to the audio archive on the Rediscover: Hour about this ministry. 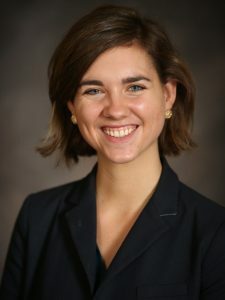 Family Formation is a unique family catechesis model that supports parents in their role as the primary educators of their children in the Catholic faith. Family Formation is a tried-and-true curriculum developed over many years by regular parents who were searching for a better option. Through Family Formation, parents are evangelized, catechized, and come to understand what the Church is asking of them. The materials are engaging, down-to-earth, and easy to understand. 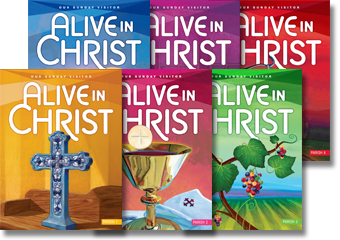 With the help of games, quizzes, stories, and music, the lessons transmit solid Catholic teaching and bring the Faith to life within the family. This past year there were 150 parishes in the U.S., Canada and beyond using the Family Formation model and curriculum as well as a number of individual families. Listen to the Rediscover: Hour audio archive about this ministry. To learn more, contact Deb Lindahl, Director of Distance Family Formation at the Church of St. Paul in Ham Lake, at deb@churchofsaintpaul.com or 763-757-1148. Ignite Your Faith: As followers of Jesus Christ, we are all on a lifelong journey attaining knowledge about Him and His teachings, as well as fostering a closer relationship with Christ. 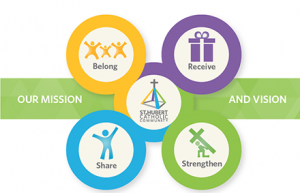 St. Bartholomew in Wayzata has developed this two-year parish wide faith initiative that is modeled from a capital campaign to a spiritual campaign and consists of four simple, yet powerful phases, to lead you through the process. These phases are prayer, study, generosity, and evangelization. Ignite your Faith is a proven and easy pathway to help you grow in your faith. To learn more, contact Teresa Litfin-Wertz at St. Bartholomew in Wayzata at tlwertz24@gmail.com. View a video about this ministry. 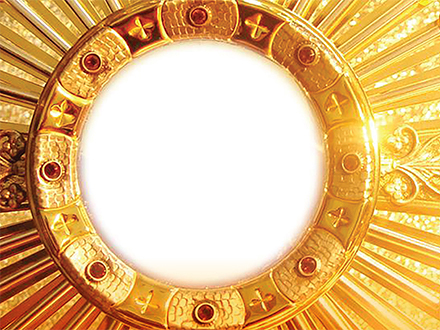 Parish Discipleship: The mission of the St. Hubert Catholic Community invites you to Belong to the family, Receive God’s grace, Strengthen your friendship with Christ in the Catholic Church, and Share the joy of the gospel. Discipleship at St. Hubert’s (formerly called Faith Formation) is a lifelong process. It is their goal to provide meaningful programs that are rich in quality and provide a foundation for spiritual growth. The education programs explore the Catholic Church’s rich traditions and help people of all ages strengthen and deepen their faith. The Discipleship programs at St. Hubert are designed to supplement the prayer and learning that happens at home. From their Catechesis of the Good Shepherd program for the smallest learners in the parish to the Rite of Christian Initiation of Adults (RCIA), the preparation received at St. Hubert is only a small part of the faith journey that occurs throughout one’s lifetime. To learn more about their Discipleship programs, call the parish office at 952-934-9106. View a video and listen to the audio archive on the Rediscover: Hour about this ministry. • Do you have a loved one who has stopped practicing their Catholic Faith? • Are you unsure of what to say to them? • Do you want to help be an instrument of the Holy Spirit in their lives? If you answered yes to any of these questions, then the Return program is for you! Learn why most people leave the Church and gain practical tips and strategies to help your loved ones return. For more information, visit returnfaith.org and contact Molly Schorr at mollyschorr@saintvdp.org or 763-762-7374. View a video about this ministry. 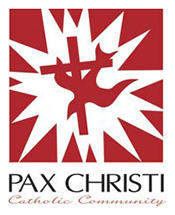 SERVE is a tool offered at Pax Christ in Eden Prairie to help plug their parishioners into the shared ministries available at their parish. You can use SERVE by searching for your shared ministry in two ways, either by a particular ministry area or by selecting an area of interest, talent, or skill that you wish to share. After completing the online form, the lead contact for that shared ministry will contact you with more information. To learn more, visit the SERVE web page. View a video about this ministry. Walking with Purpose – A Women’s Bible Study: Do you desire to grow in your Catholic faith? Would you like to connect with other women in the Catholic parish community? Do you feel that you are doing so much but long to be more balanced and effective? We invite you to consider joining Walking with Purpose, a women’s Catholic Bible study, offered at Transfiguration Catholic Church. Walking with Purpose aims to bring women to a closer relationship with Christ. Personal study and small group discussions at WWP each week link our everyday challenges with the solutions given to us through the teachings of Christ and the Catholic Church. Walking with Purpose is a nationally acclaimed women’s bible study serving women in over 250 Catholic parishes in the United States, Canada, and Europe. To learn more, please contact Erin Ethier at 651-501-2209 or eethier@transfigurationmn.org, or visit walkingwithpurpose.com for information on all of the programs offered through Walking with Purpose.